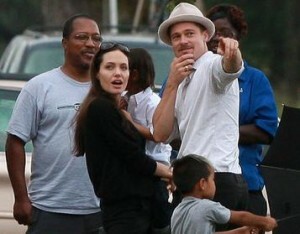 Brad Pitt has sparked speculation that he was hiding his secret smoking habit from Angelina Jolie. Angelina Jolie, who raised six kids with partner Brad Pitt, agreed to allow Shiloh get her hair cropped because she ”cried” over her long tresses. Brad Pitt and Angelina Jolie, who were in the midst of split rumors, were reportedly met the lawyers a few months ago to sign a living will, according to a report. Ian Halperin, who is author of the upcoming “Brangelina Exposed”, was stunned over the Star magazine report, which alleges inside access to his tome and teases details on the celebrity couple’s secret life. Shiloh Jolie-Pitt followed her parent’s footsteps as she rescued a village of kids with her pictures, according to a report. She’s known for her unorthodox views on life but it seems Angelina Jolie has an even stranger fascination with death. Brad Pitt and Angelina Jolie are set to move to New York. Brad Pitt and Angelina Jolie are not splitting up. 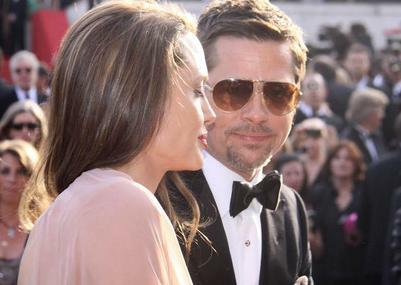 Brangelina’s Cannes Love-In All An Act? Brad Pitt and Angelina Jolie’s united front at the Cannes Film Festival is an act worthy of an Academy Award, according to a new tabloid report. Read moreBrangelina’s Cannes Love-In All An Act? 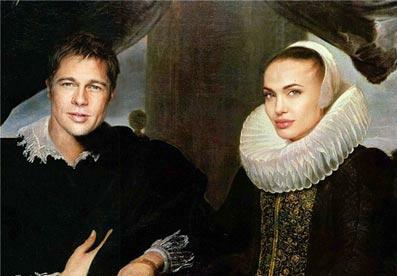 After enjoying an intimate dinner with 60, Brad Pitt and Angelina Jolie enjoyed a late date night Wednesday in Cannes.